Interactive Security & Video, Smart ThermostatS, Skybell video doorbell, HD Camera's, YAle Smart Locks, & Smart Lighting. Never worry about losing your keys again with key-less entry. 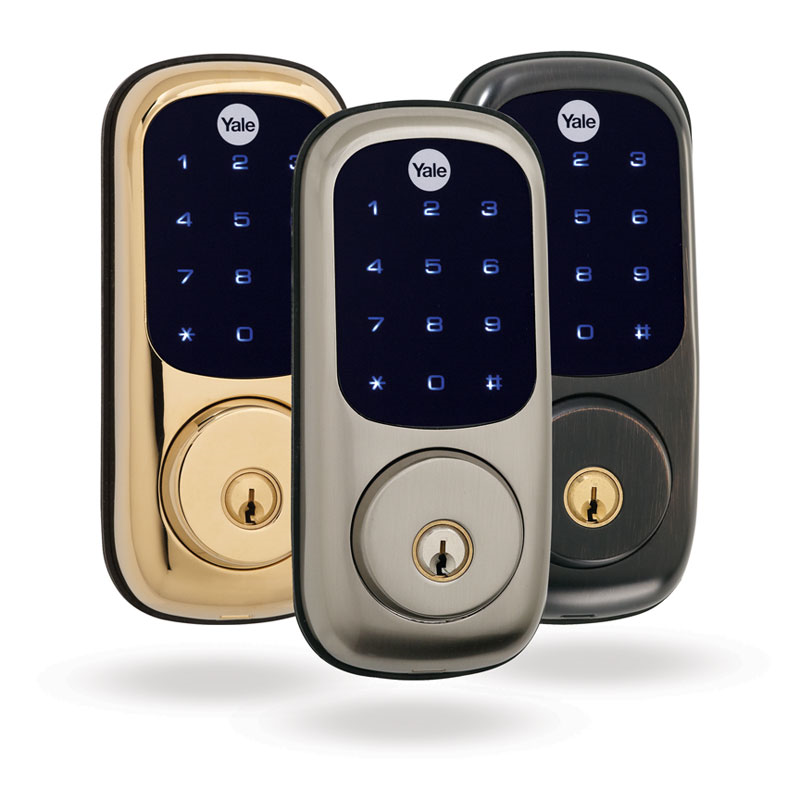 Secure your home with a Yale electronic lock and enjoy the convenience of unlocking and locking your door using using a secure, unique pin code through the backlit touchscreen keypad or your mobile device. The lock features Z-Wave technology so you can integrate into your home automation like Google Home or alarm system for even more functionality. Get automatic savings on energy at home. Manage your lights and temperature settings with automated schedules. Create easy rules to have an added layer of smart automation based on system activity. Alarm.com can use real-time local weather data to adjust your temperature settings to save energy and money if outdoor temps spike. It's integrated fully into the Alarm.com app, letting you control your temperature alongside your security panel, lights, locks, garage door and more. Transform any home into a smart home with the plug-in GE Z-Wave Plus Smart Switch. The switch allows you to wirelessly schedule and control any pluged in device or floor lamp in your home from anywhere, at any time. Featuring one wirelessly controlled grounded outlet, the Z-Wave Plus Smart Switch provides ultimate flexibility for your home lighting by creating custom scenes and scheduling timed events when you're either home or away. The Alarm.com WI-fi camera is excellent in low-light performance with 1080p HD video and at night with built in night vision. With a weather-resistant and dust-tight design the camera is ideal for capturing video indoors or outdoors making the Wi-Fi Video Camera from Alarm.com a powerful video solution for any location.